that a School of Nursing should be established in the College of Medicine. 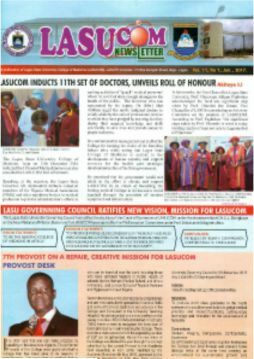 Thus, on February 9 1999, the Lagos State University College of Medicine (LASUCOM) was 'born' after 10 years of incubation. The College was commissioned by his Excellency, Lagos State Military Administrator, Col. Mohammed Buba Marwa and from its humble beginnings has taken great strides. Over the years the population of Lagos State continued to expand as people from all parts of the country migrated to the state in search of better living conditions and job opportunities. The latest population of the state by an independent international census group was put at 18 million. 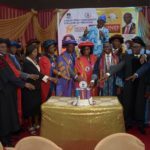 In order to serve this ever growing population the Government of Lagos State, in its wisdom, therefore decided to train doctors and paramedical personnel to complement the numbers of this cadre of medical personnel settling in the state following graduation from already established medical colleges. These young men and women are trained to treat patients, recognize the acutely ill ones and, when they are posted to rural areas, refer the deserving patients to appropriate centres and hospitals.They should also have sound knowledge in primary health care. 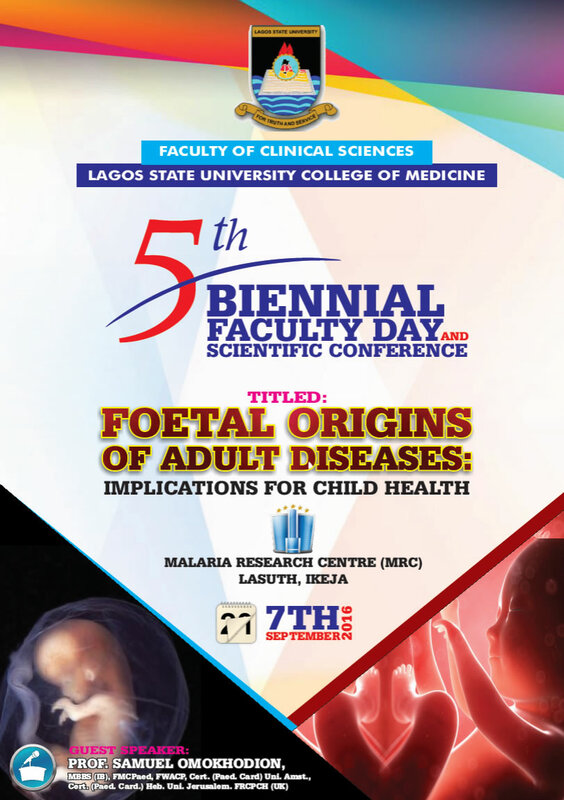 This notwithstanding, the programme is as a matter of course designed to produce doctors of international standard. 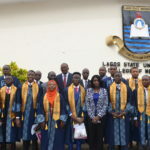 Thus, the basic function of this medical school (LASUCOM) is to train medical doctors and other allied professionals, conduct research and deliver high quality health care services to the state and the nation. 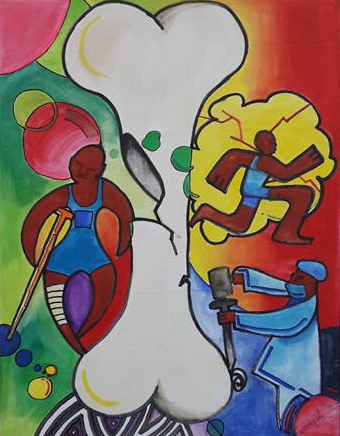 Appreciating the sensitivity of the medical profession, medical ethics are taught at all times and at all levels. Comportment and behaviour of a very high standard is expected from these students who are the leaders of tomorrow. They are also encouraged to participate in extracurricular activities approved by the College. A beautiful football field has recently been built with a covered sitting area as well as courts for basketball and lawn tennis. Students are encouraged to participate in National and International sports competitions. The Students' Affairs Unit of the College Administration handles issues relating to welfare of the students with co-operation from the Chairman, Student Affairs Committee and the Hall Master and Hall Mistress. These officers ensure that peace and harmony exist among the students a vital prerequisite for excellent academic pursuit. In order to support students academically, socially and psychologically each student is assigned to an academic staff member as his/her adviser. The student population has grown gradually from the initial intake of 44 into the 200 level year in 1999 to the present total of 365 students. 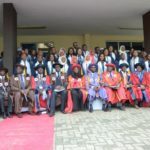 Parallel of this growth in student population has been the increase in the number of constituent departments of the College, the major contribution coming with the establishment of the Faculty of Clinical Sciences in the year 2003. There are now sixteen (16) departments with eight (8) in the Faculty of Basic Medical Sciences and eight (8) in the Faculty of Clinical Sciences. The total number of academic staff has also increased but more importantly there has been a shift in the ratio of permanent academic staff to associate lecturers weighted in favour of permanent appointments. To enhance morale, teaching and non-teaching staff are encouraged to attend seminars and workshops relevant to their professional development. Many of these personnel improvement programmes are partly or wholly sponsored by the College as available funds dictate. Appropriate office and laboratory accommodation for this growth in personnel is being addressed in the phased infrastructural development of the College guided by a master plan. 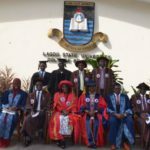 It is no wonder then that the College has been, rightly, referred to as the fastest growing modern College of Medicine in the Nigeria. conscious of their duties as medical doctors or other health professionals and will observe at all times the tenets and ethics of their profession. humanities, to broaden and enhance general education, including economics, politics, management and administration. the highest standard of morality and integrity.